This lighter version of Chicken Paprikash is just a satisfying and delicious as the original dish. I served mine over brown rice instead of the traditional egg noodles for an added nutritional boost. This group meets up each Sunday and shares recipes based on a theme chosen by Ellen of Family Around the Table. The group was kicked off last week with Drinks to Warm You. I shared a Hot Chocolate Eggnog. This week Ellen asked for us to share Healthy Recipes with our readers. I lightened up a family favorite, Chicken Paprikash, with a recipe adapted from Clean Eating Magazine. Can I tell you a secret? 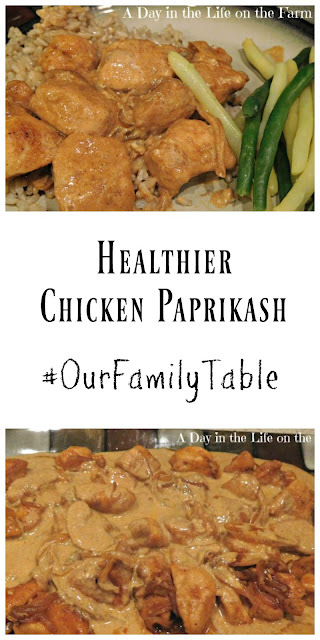 My family had no idea that it was a lighter recipe and they loved it even more than our traditional Chicken Paprikash. I still served theirs up with Egg Noodles and made brown rice for myself. The teen ate her first serving with the noodles, asked why I had rice and if there was anymore. She then had a huge second serving with the brown rice and said it was better with the rice than the noodles. I agree. I can't wait to check out all of those great sounding recipes and continue to start the New Year off right. Please let me know your family's reaction when they try this lightened version. I hope they enjoy it as much as we did. Place the flour, salt, pepper and 1 teaspoon of paprika into a plastic bag. Add the chicken pieces and shake to coat. Heat the olive oil in a large skillet over med high heat. Once hot, add the chicken pieces, half at a time. Cook, stirring until golden brown, 3-4 minutes. Remove chicken to a plate and set aside. Add the onion, garlic and remaining 3 teaspoons of paprika to the pan. Cook stirring occasionally until softened and fragrant, about 4-5 minutes. Add water and stir, scraping up any browned bits stuck to the bottom of the pan. Return the chicken pieces and any juices collected on the plate to the skillet. 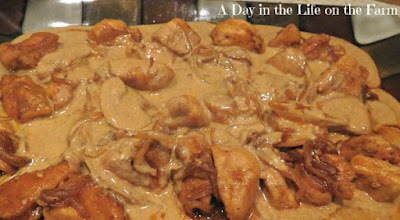 Bring to a boil, reduce heat, cover and simmer for 10-12 minutes until chicken is cooked through. Remove chicken to a platter, reserving the cooking liquid in the skillet. Whisk the yogurt into the cooking liquid until smooth and creamy. Pour over the chicken pieces and serve over steamed brown rice. Thanks Tina. I find Clean Eating near the register of my favorite International Market. It is a wonderful publication. I think you can also find their recipes online. It was a really good recipe. Enjoy. It looks so creamy. Brown rice sounds perfect for this dish! It was Cindy. A wonderful, healthy dinner. This sounds wonderful. 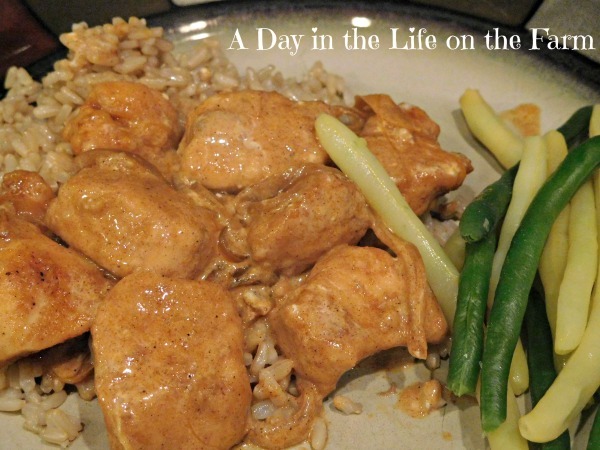 Can you believe I've never had chicken paprikash? I'll have to try yours! It is sure to become a regular on the menu Karen.